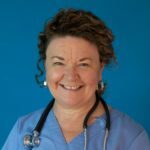 Martha Marx has been a resident of New London and a registered nurse for 30 years. She has the experience, energy, and dedication to be an effective leader and representative for our district. Martha’s responsiveness, wisdom, and empathy make her the best choice to be our next State Senator. A former New London City Council member, Martha worked with business owners, local organizations, and residents of every political stripe to strengthen the community. As a visiting nurse for patients throughout southeast CT, Martha advocates fiercely for her clients. She will bring the same passion to representing her district. The biggest issue facing our state is the need to revitalize our economy in a way that will benefit everyone. I believe it will take a multi-faceted approach, which includes both reforming tax policies and addressing income inequality. We must work towards building a more equitable and stronger economy – one that pays a living wage; supports all people, including women and people of color, in the workplace; provides safe and dignified working conditions; and allows a path to a secure retirement. According to an analysis of Connecticut taxes, the wealthiest 1% pay 5.5% of their incomes in state and local taxes while middle-class families pay between 9.6% and 11.4%. I support reforming our tax system to make it more progressive. I strongly oppose the idea of eliminating the income tax or inheritance tax. An additional source of revenue is elimination of the carried interest loophole, which allows hedge fund managers to avoid paying their fair share, despite making hundreds of millions a year. We should be asking those who can most afford it to pay their fair share before cutting vital services like healthcare, education, and senior services. I condemn, in the strongest terms possible, the bullying rhetoric and the unjust policies coming from the administration in Washington, D.C. I will not remain silent in the face of injustice. Since then, Democrats have been responsible for getting the Connecticut budget back into the black after billions were spent down in the Rowland/Rell administrations. In eight years, more jobs have been created than in the previous administrations’ 16-year run and recovered 81 percent of the jobs lost in the 2008-2010 recession. We must not eliminate taxes that fund our investments in infrastructure, education, job creation, and workforce innovation, when we are still at the beginning of recovery. Connecticut lawmakers have historically lead the nation in defending citizen’s rights. I’m proud to live in Connecticut and continue the defence of our Democratic values. To address our state’s budget crisis, we should regionalize services wherever practical, implement tolls, legalize marijuana, and expand gaming options. A more diverse revenue stream will enable municipalities to reduce property taxes, on which we are currently over-dependent. We also must modernize our transportation infrastructure, expand public transportation, and invest in our workforce. A serious and comprehensive push to strengthen our state education system is needed, with more teachers who are given proper support (e.g., teaching assistants) and a plan to ensure pensions are solvent. I am running because our hardworking families are often not able to access affordable, quality healthcare; our shoreline communities need leadership in Hartford that will help them to cope with the effects of climate change; everyone deserves an equitable education; and no one working 40 hours a week should be struggling to make ends meet in our state. I will be a champion for our district and a leader in Hartford to address these issues. Far too often, middle and working class families are faced with medical bills that can wipe out life savings and put hardworking families in danger of bankruptcy. I will work to ensure every family makes a living wage and has access to healthcare and other support services, such as Care for Kids, which helps working families cover childcare costs. I support raising the minimum wage; expanding access to treatment for people ensnared in the opioid epidemic through programs based on science, reason, and compassion; and continuing to close the pay gap between men and women. I value our working families and will never balance our budgets on the backs of the middle class.